The flower rich meadows at Bell Sykes are designated as Sites of Special Scientific Interest (SSSI) because of the wide variety of meadow species they contain. 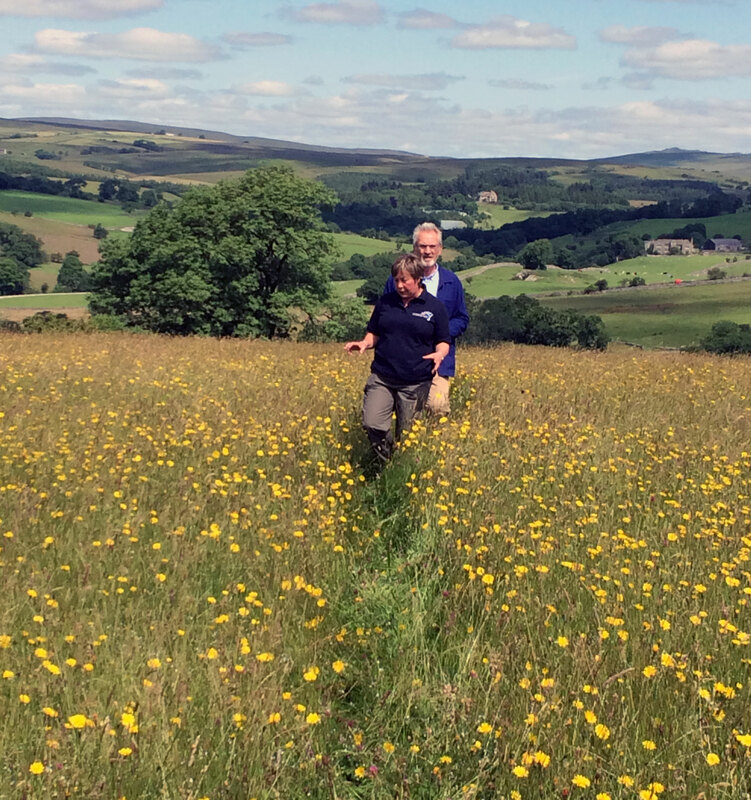 These meadows are also the Coronation Meadows for Lancashire chosen as outstanding examples of our remaining meadows for their species diversity, public access and for their ability to be used as ‘donor’ meadows to provide seed for the creation of new meadows to help restore this precious habitat. Bell Sykes meadows is one of the last unimproved flower-rich grasslands in this part of Lancashire. Often only tiny fragments of meadows remain, but due to the large number of fields here it’s possible to be entirely surrounded by one of the rarest habitats in England. The best time to visit a meadow is in June, as most of the wildflowers will be flowering by then. Bear in mind that hay cutting usually starts around mid July depending on the weather. Meadows provide winter fodder for livestock so please stay on the public rights of way and walk in single file (there is no ‘right to roam’ through meadows). Species to spot: From late May and June through to when the meadows are cut in late summer you will be able to see a wide variety of species flowering, starting with meadow buttercup and yellow rattle, followed by hawkbits, meadow cranesbill, meadowsweet, great burnet, meadow vetchling and knapweed. It is not necessarily that these species are very rare in themselves, but to see them together in such abundance is what makes these meadows so special. On a sunny day you will also see a huge number of insects, butterflies and feeding swallows. You might even glimpse the scarce and beautiful melancholy thistle, so named because of its drooping seed head.